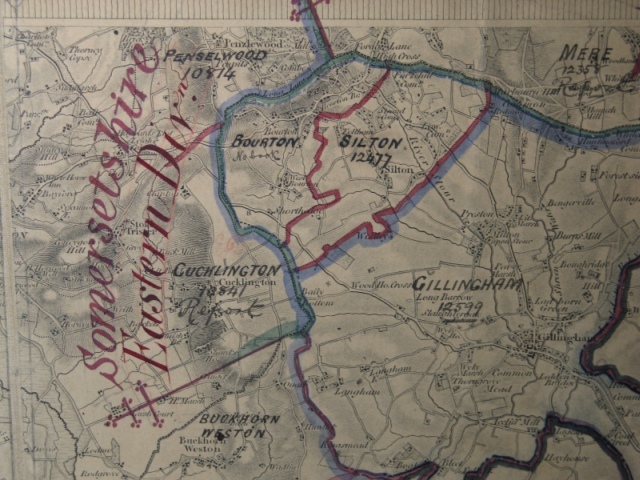 These maps show the most northerly part of Dorset - bordering Somerset and Wiltshire. The age of these maps is probably early 20th century. These days the villages are dominated by the main trunk road from London to the Westcountry (A303) which splits the villages of Silton and Bourton. My great grandfather was brought up in Bourton but left the area to seek work in Ebbw Vale where my grandfather was born. The family moved back to Dorset in the late 1870s for health reasons. There are still clusters of SUTERs in Wales - descendants of that generation that left rural Dorset for the mines and steel mills of South Wales. 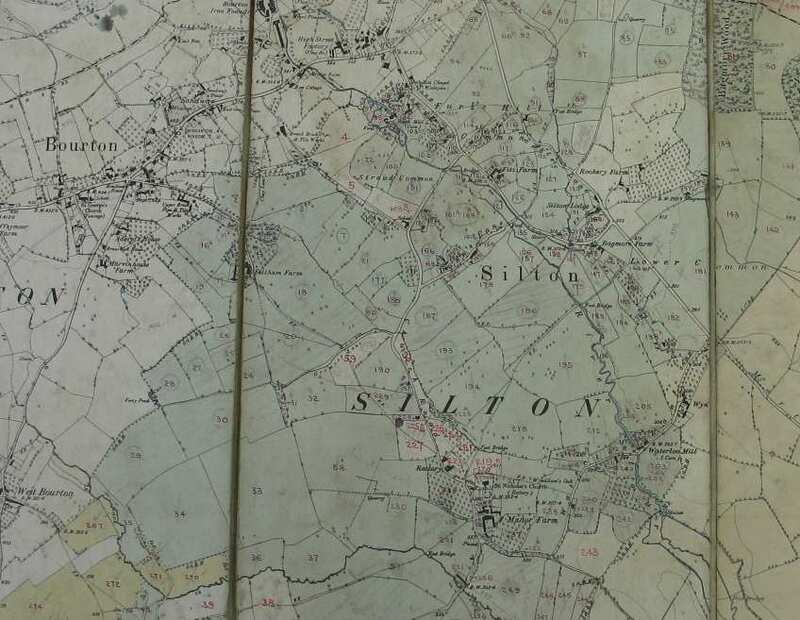 There is an excellent book published by the Silton WI that interested genealogy researchers should purchase called "Silton Records of a Dorset Village" (ISBN 85126080 2). It is beautifully written and contains numerous photographs that perfectly illustrate a bygone age.